PowerPoint presentations work like slide shows. To convey a message or a story, you break it down into slides. Think of each slide as a blank canvas for the pictures and words that help you tell your story. On the File tab of the Ribbon, select New, and then choose a theme. 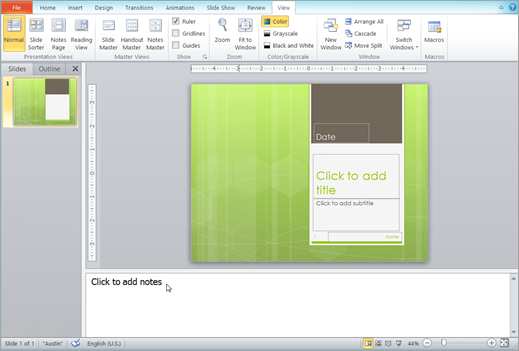 PowerPoint shows you a preview of the theme, with four color variations to choose from on the right side. Read more: Add, rearrange, and delete slides. Tip: Save your work as you go. Press Ctrl+S often. You can add shapes to illustrate your slide. On the Insert tab, select Shapes, and then select a shape from the menu that appears. In the slide area, click and drag to draw the shape. Select the Format or Shape Format tab on the ribbon. Open the Shape Styles gallery to quickly add a color and style (including shading) to the selected shape. To open the notes pane, at the bottom of the window, click Notes . When you start a new presentation PowerPoint, you’ll have the opportunity to choose a theme or template. 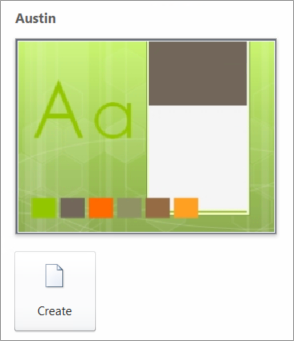 A theme is a slide design that contains matching colors, fonts, and special effects like shadows, reflections, and more. On the File tab, select New, and then, under Available Templates and Themes, choose Themes. 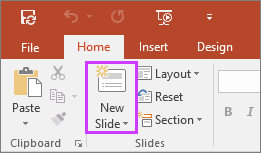 As you click each theme, PowerPoint shows you a preview on the right side. When you find the one you want, click Create. On the Insert tab, choose Picture. Browse for the picture you want, and then choose Insert. Select the Drawing Tools Format tab on the ribbon. Open the Shape Styles gallery to quickly add a color and style (including shading) to the selected shape. Slides are best when you don’t cram in too much information. 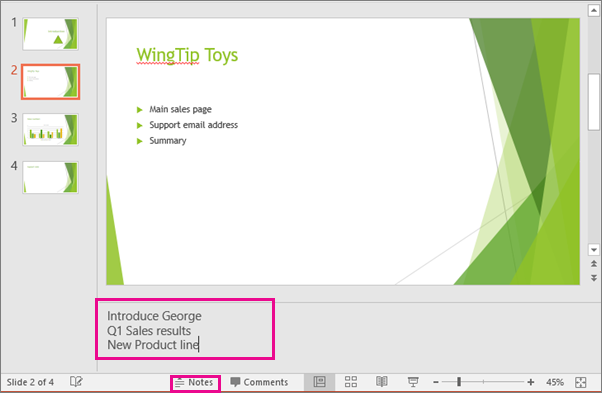 You can put helpful facts and notes in the speaker notes, and refer to them as you present. In Normal view, the Notes pane is located just below the slide view window. If you need to present to people who are not where you are, click Broadcast Slide Show to set up a presentation on the web. To learn more, see Broadcast your PowerPoint presentation to a remote audience. Under Templates, click Installed Themes. When you find the one you want, click Create at the bottom of the window. 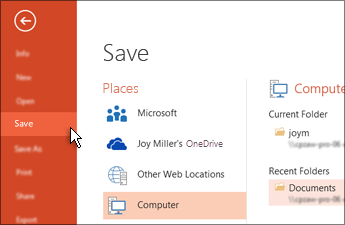 Click the Microsoft Office Button , and then click Save. Consider the following tips to keep your audience interested. To maintain a clear message and to keep your audience attentive and interested, keep the number of slides in your presentation to a minimum. The audience must be able to read your slides from a distance. Generally speaking, a font size smaller than 30 might be too difficult for the audience to see. You want your audience to listen to you present your information, instead of reading the screen. Use bullets or short sentences, and try to keep each item to one line. Some projectors crop slides at the edges, so that long sentences might be cropped. Pictures, charts, graphs, and SmartArt graphics provide visual cues for your audience to remember. Add meaningful art to complement the text and messaging on your slides. As with text, however, avoid including too many visual aids on your slide. Use only enough text to make label elements in a chart or graph comprehensible. Choose an appealing, consistent template or theme that is not too eye-catching. You don't want the background or design to detract from your message. However, you also want to provide a contrast between the background color and text color. 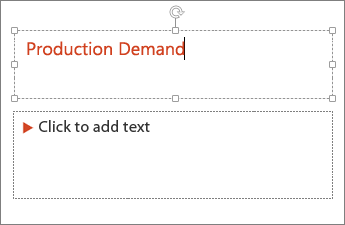 The built-in themes in PowerPoint set the contrast between a light background with dark colored text or dark background with light colored text. For more information about how to use themes, see Apply a theme to add color and style to your presentation. To earn and maintain the respect of your audience, always check the spelling and grammar in your presentation.